Another in the series of beach waters inspired monoprints! One of my FAVOURITE colour combinations, teal-turquoise waters with yellow ochre gold and white that say beach lovin' life style! 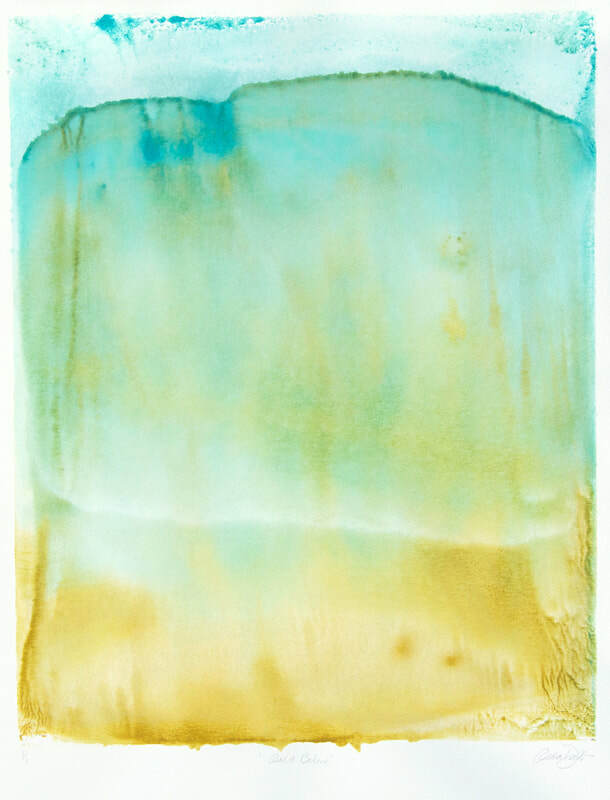 That's my dream to have a beach house and decorate with all things beach, like these monoprints! The actual paper size is 18" (45.72 cms) x 24" (60.96 cms) and the image area is 16" (40.64 cms) x 20" (50.8 cms). The monoprint is numbered 1/1, titled and signed along the bottom of the print, just under the image area.